Anne S • This entry was posted in Finishes, Lizzie Kate. Bookmark the permalink. Congratulations on your finish…I love the colors that you chose…I can’t wait til I see your other WIP Photos….You do beautiful stitching. Nice finish. Love looking at all of your projects! Great job, I love the way you did it. Like this one! 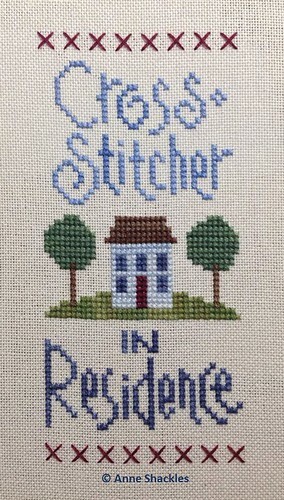 Wonder if I might modify it for myself by substituting Quilter for Cross Stitcher? I could use either one really, as I still enjoy a bit of cross stitching now and then!